Hello everyone! 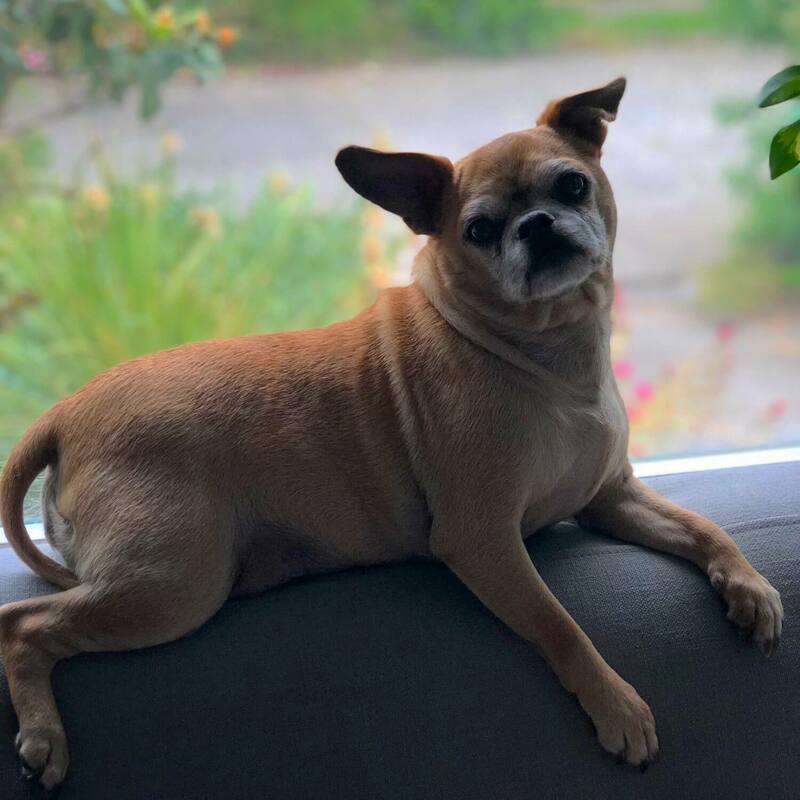 My name is Daphne and I am 10 year old Chihuahua/Pug mix weighing in at 22lb . Do you know the Greek story behind my name? Well legend says that Daphne was so beautiful that even the god Apollo wanted to court her! Well, my story is no different! My cute face attracts all the attention from everyone every place I go. 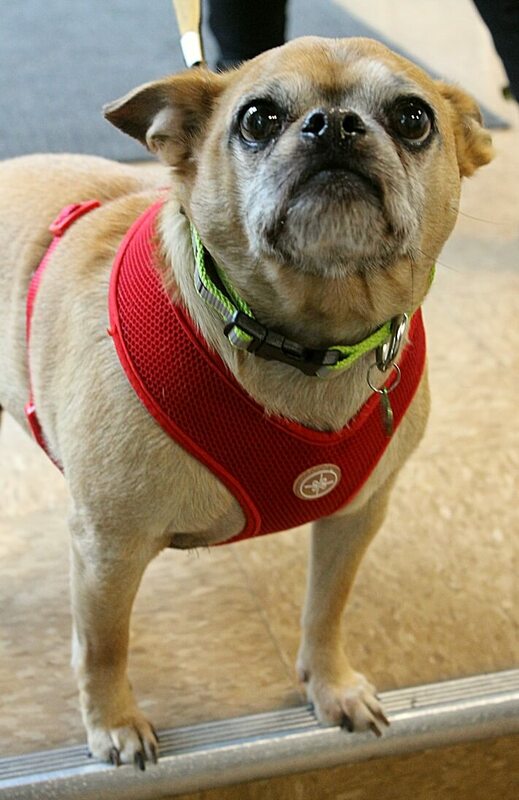 I am a mellow gal who really enjoys my daily walks with Pixie volunteers, followed by some cuddle time of course! I can be a little head shy, but I love my belly rubbed and will even nuzzle my way into your lap, trying to get more pets along the way. I am pretty indifferent to all the other dogs and cats that I have met, and wouldn’t mind sharing a home with either! I am the type of pup that would be happy to join you for a walk to the local cafe where we can hang out on the patio and happily meet all my adoring fans who walk by. I just tend to go with the flow! Sweet, chill, and eager to please, you would be lucky to have this gorgeous lady by your side! Fill out an application today, so we can meet. 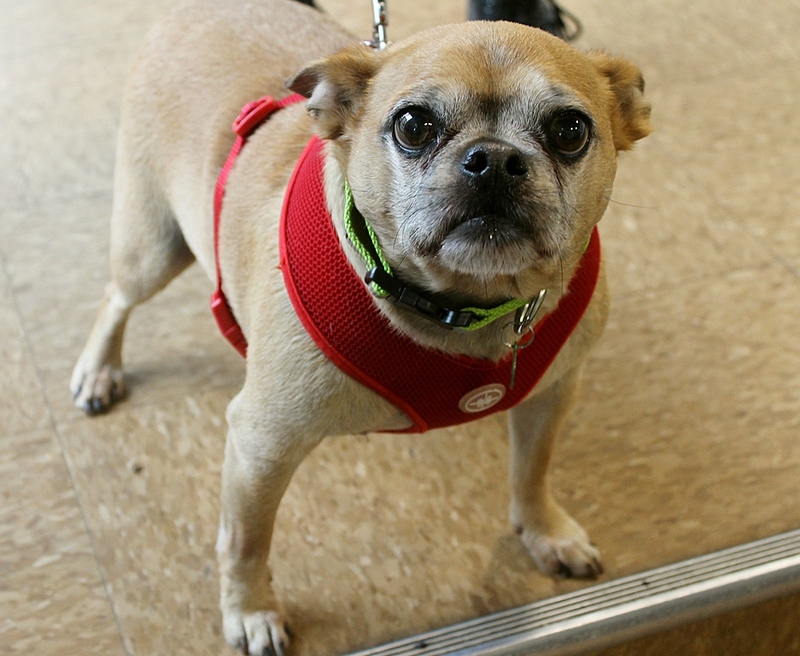 I come to you spayed, vaccinated and micro-chipped with an adoption fee of $350.